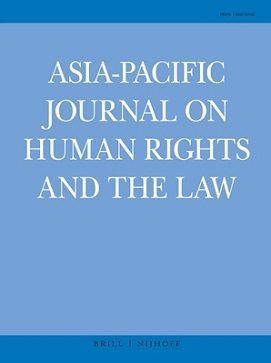 Gomez, James, and Robin Ramcharan (2014), Evaluating Competing “Democratic” Discourses: The Impact on Human Rights Protection in Southeast Asia, in: Journal of Current Southeast Asian Affairs, 33, 3, 49–77. This paper evaluates the impact of competing “democratic” discourses on human rights protection in Southeast Asia. The authors identify three key discourses emanating from a set of national governmental policies, advocacy positions promoted by both global and local civil society and international standards and procedures adopted by members of inter-governmental organisations. 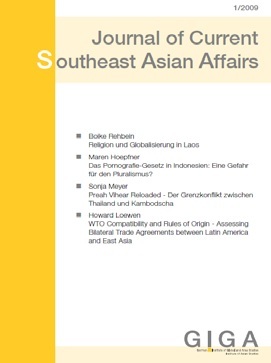 These discourses, the authors argue, are collectively shaping the emerging ASEAN inter-governmental human rights regime. The political impact of these competing “democratic” iscourses and their complex interactions bring a cultural dimension to regional human rights. The authors argue that observers seeking to understand the emergence of norms, the establishment of institutions and their capacity to collectively protect regional human rights, need to understand these competing discourses.